Slackers don't deserve $15 an hour. 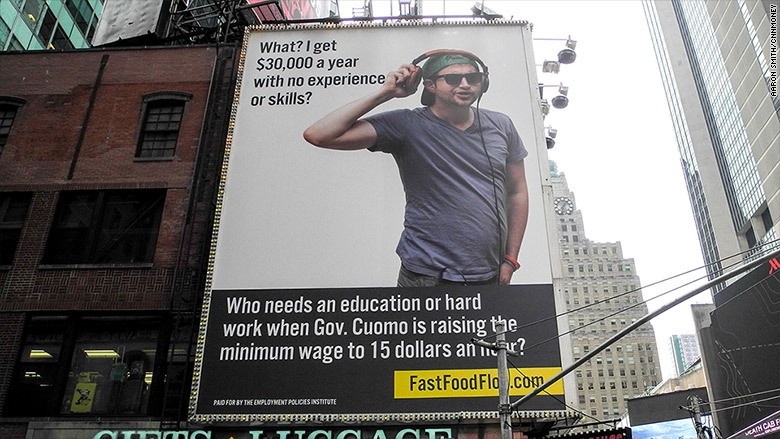 That's the message of a Times Square billboard sponsored by a conservative group that opposes a new minimum wage rule for fast food workers in New York state. "What? I get $30,000 a year with no experience or skills?" asks the lackadaisical-looking young man, wearing sunglasses, headphones and a baseball cap turned backward. The billboard is part of a $100,000 campaign by the Employment Policies Institute. 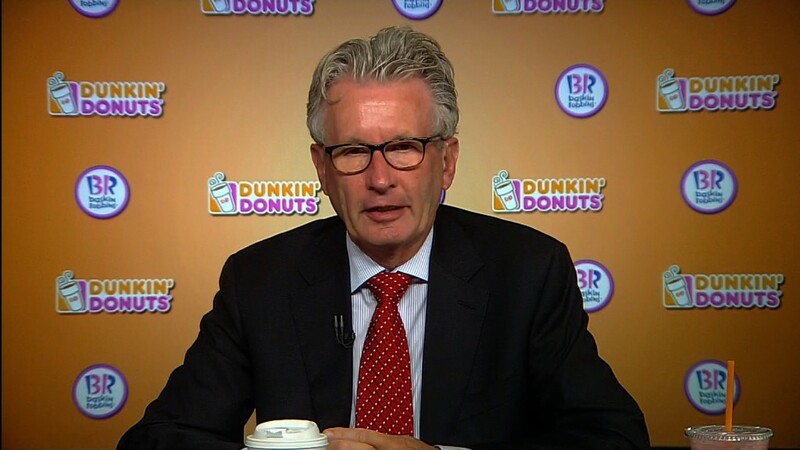 Richard Berman, the group's executive director, has a public relations and lobbying firm that has worked for the restaurant industry. "Who needs an education or hard work when Gov. Cuomo is raising the minimum wage to 15 dollars an hour?" reads the sign. It's referring to the New York governor's plan to raise the minimum wage plan to $15 an hour for fast food workers in New York City by 2018 and statewide by 2021. The billboard mentions the web site FastFoodFlop.com, which explains the group's message against raising the minimum wage for fast food workers. Mike Saltsman, research director for the organization, said raising the minimum wage to $15 an hour "devalues the hard work of people who have already put the effort into working their way up." "What we're essentially saying are people who are having their first day on the job, who are maybe 16 years old, are going to get the same wage, or maybe a dollar less, then maybe somebody who's been there for a couple of years," he said. The rule applies to more than 100 brands doing business in New York state. The only criteria: They must operate in at least 30 locations nationwide. In May, the Employment Policies Institute ran a full-page ad in the New York Post attacking Mayor Bill de Blasio for pushing a $15 minimum wage, which it says would exacerbate youth unemployment.